As investigators in Egypt begin the hunt for Hosni Mubarak's fortune, the former president's involvement in an early 1980s arms scandal could provide clues to how he and his family amassed their estimated billions through decades of alleged kickback schemes and corrupt business dealings. The scandal revolved around a federal probe into allegations that a firm transporting American arms to Egypt had embezzled millions of dollars under an exclusive Pentagon contract established following the historic Camp David peace agreement with Israel in 1978. "There were many, many weapons, and billions of dollars in armaments that needed to be shipped. It was an enormous job," says Ibrahim Oweiss, a Georgetown University professor and an economist who headed Egypt's economic mission to the U.S. at the time. Within three years of founding a company known as the Egyptian American Transport and Service, or EATSCO, an Egyptian businessman named Hussein Salem and his American partner were under federal investigation on charges they ripped off the U.S. government by padding the shipping costs for the arms by $8 million. 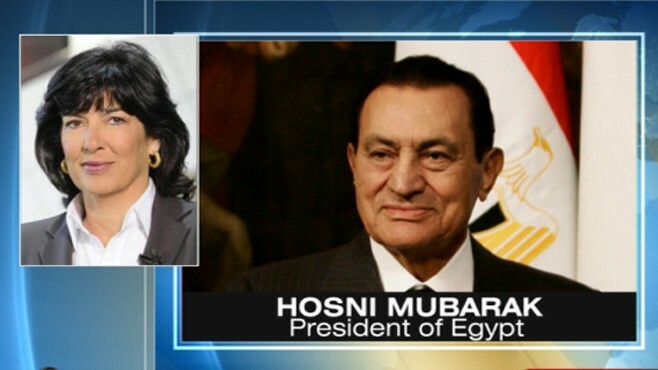 "Hussein was the façade for the Mubarak family," said Oweiss, who met Salem around that time and knew of his ties to the Egyptian intelligence community and Mubarak's brother-in-law, then a top Egyptian military procurement official. Salem pleaded guilty to the charges, and agreed to reimburse $3 million to the U.S. government and pay a $40,000 fine, according to news reports. He went on to become one of Mubarak's closest confidantes and a successful businessman with interests in Egypt's natural gas industry as well as hotel and resort holdings, including the Sharm-el-Sheikh resort where Mubarak now lives full time. The EATSCO scandal, which also ensnared former CIA operatives and high-ranking Pentagon officials, caused a stir in diplomatic quarters and threatened to damage the newly formed strategic relationship between the U.S. and Egypt after it was revealed that a rogue former CIA operative who had been accused of selling arms to Egypt's arch-enemy Libya was involved in the firm's dealings. Edwin P. Wilson, the accused former CIA officer, claimed to have put up the initial $500,000 investment in EATSCO but says he was later double-crossed by another former CIA operative who elbowed him out of the EATSCO partnership. At the time, officials in Egypt denied knowledge of the embezzlement scheme or the dealing with former CIA operatives. Wilson now says that operation was a "front" for Egyptian intelligence, and that Mubarak was "deeply involved" in setting up the operation and installing Hussein Salem as Egypt's "front man" in Washington. "This was all handled by Mubarak and the military attaché in Washington," says Wilson, who served 22 years in federal prison for charges that he sold arms to Libya and plotted to kill federal prosecutors. Through it all, Wilson maintained his activities had been sanctioned by the CIA. He was released from prison in 2004 after a federal judge found that government prosecutors and the CIA had covered up evidence in his case to avoid embarrassment. Robert Springborg, a professor of national security affairs at the Naval Postgraduate School and an expert on the Egyptian economy, says that throughout the 1980s U.S. officials largely turned a blind eye to allegations of bribery and kickbacks involving foreign military aid to Egypt, despite numerous complaints from American contractors, and a GAO report citing the aid program's vulnerability for abuse. "A few hundred thousand dollars there, a million here, ten million here -- it was not considered important," said Springborg. "It was a strategic breakthrough for the United States. We'd pulled away the key Middle East actor, we got peace with Israel, what are a few hundreds of millions of dollars? That was the whole mindset." Springborg believes that, in the end, the money the Mubarak family accumulated through corruption schemes involving U.S. aid was "small bananas" compared to the windfall they likely made helping businessman, like Salem, establish monopolies in the natural gas, steel, iron, and telecommunication sectors. "The Mubarak family had relations with a host of different business people," said Springborg. "There has been a huge amount of money that's been picked up by various people through kickbacks, essentially to the Mubaraks." The task of recovering that money will be daunting and enormous, says Springborg, with many of Mubarak's assets likely buried under layers of shell holding companies. "Mubarak enlisted the very best and brightest to ensure that these assets be very well camouflaged," said Springborg. "Any attempt to get at this was beaten back with vigor."